OKAY BOYS, GET OVER IT: women have made some of the most important contributions in the fine art of fly tying. By a Thread: A Retrospective on Women and Fly Tying (The Whitefish Press), by Erin Block, is a celebration of the critical impact women have made on tying flies. Erin includes the work and stories of Dame Juliana Berners, Mary Orvis Marbury, Elizabeth Greig, Winnie Dette, Mary Dette Clark, Elsie Darbee, Helen Shaw, Megan Boyd, and Frances Stearns, along with modern tiers Sharon E. Wright (Sharon is a regular contributor to Fly Tyer magazine), Cathy Beck, and April Vokey. Do you like a good mystery? Erin solves one by uncovering what ever happened to Sara Jane McBride, the famed fly tier who was also America’s first entomological fly angler. 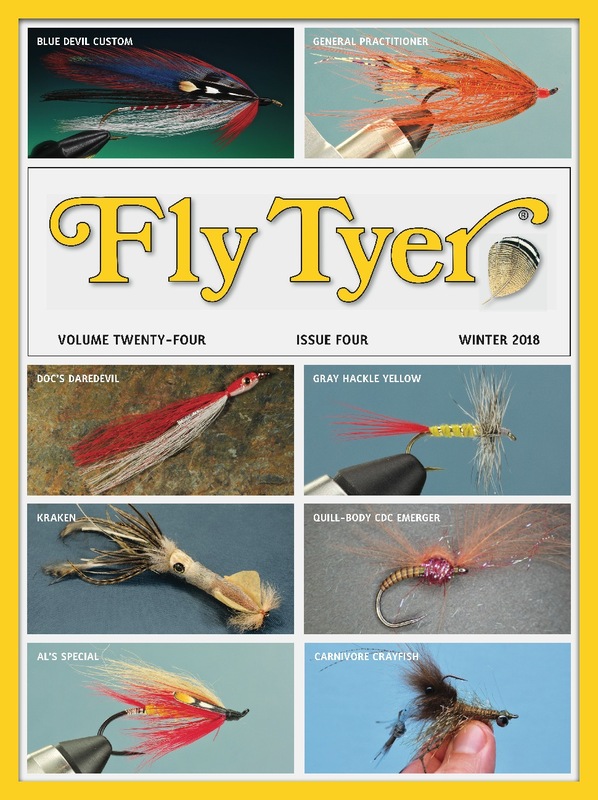 Erin’s flies have appeared in Fly Tyer magazine, and we will have fuller coverage of her new book in a future issue of our magazine. In the meantime, congratulations to Erin for making such an important contribution to the literature on fly tying! To buy a copy of By a Thread: A Retrospective on Women and Fly Tying, go to www.whitefishpress.com.